Jim Quinn, President of Flax Trust America with honorees Ed and Brigid Kenney and Sr. Mary Turley, Director of Flax Trust. 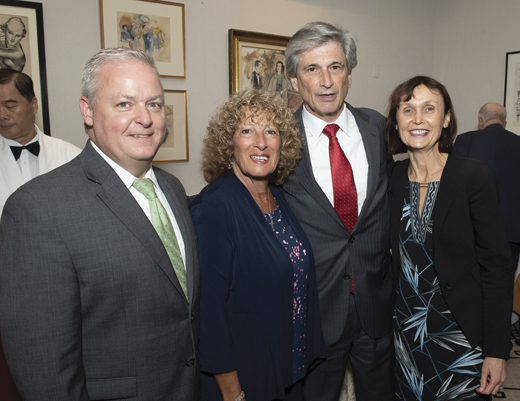 The 28th annual Flax Trust New York banquet took place in the 21 Club on October 10, 2018, honoring Ed and Brigid Kenney and Tom O’Brien, Director and Audit Chair of Prudential Financial Annuity Funds for their support of the work of the Trust over the years, having seen the projects firsthand. Paul O’Hara, Frida Maiorana, Joe Hummel and Marcella Hourican. The Flax Trust is a registered charity formed in Belfast in 1977, and has as its mission the reduction – and, if possible, the elimination – of community tensions and religious prejudices by creative engagement in economic and social development, education and training with intercommunity activities including culture, the arts, sport, health, social programs, personal development and dedicated communication projects. 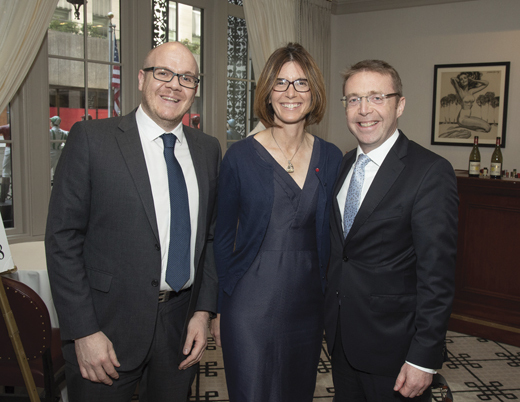 Irish Counsel General Ciaran Madden, his wife Lana Fitzsimons and Rory Power of Enterprise Ireland.